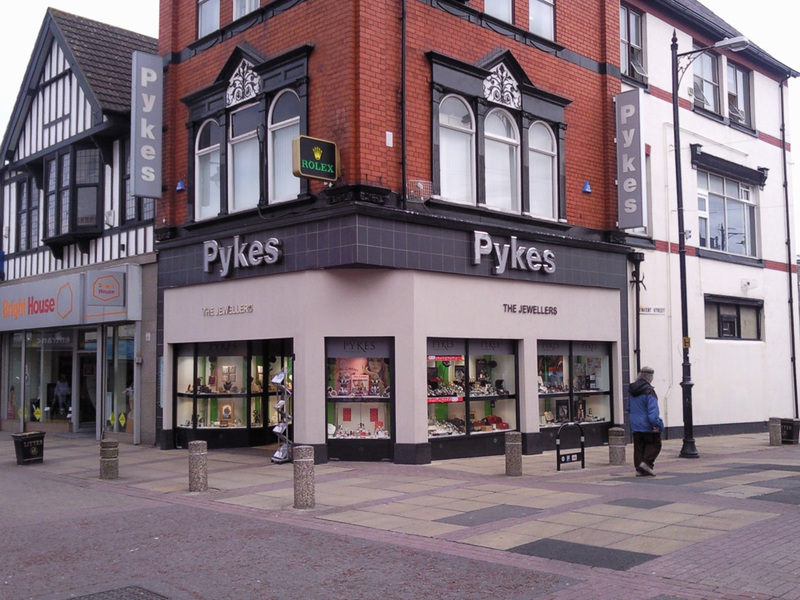 Pykes the Jewellers operate across the North West of England and the practice have provided architectural and interior design services on shop refurbishment projects in Liverpool, Chester and Birkenhead. All the premises are located within the heart of the retail areas and the client places a high priority on maximising window display space. The illustrated scheme at Birkenhead, has been designed with angled this in mind and the recess formed draws potential customers to the entrance as well as providing protection from the weather for window shoppers. The limited palette of natural materials has been used to create a restrained but contemporary backdrop in which highly illuminated showcases focus attention to the jewellery.